An initiative by Palestinians in Gaza and international solidarity activists, Gaza’s Ark entails “purchasing a run-down boat from a local fishing family,” says Michael Coleman, a member of Free Gaza Australia and on the Gaza’s Ark steering committee. “The refurbishing will be done by Palestinians in the port of Gaza, and the sailing will be with a mixed crew of Palestinians and internationals,” says David Heap, spokesperson for Gaza’s Ark in Canada and Europe. The sailing date has not been announced yet. Pointing to a weathered fishing trawler with a ‘for sale’ sign painted on it, Mahfouz Kabariti, president of Gaza’s Fishing and Marine Sports Association, points to fishers’ poverty. The Ark initiative includes exporting a token amount of trade goods from Palestinian artisans, an act which Coleman admits is “symbolic” but necessary. Exports will include date goods, embroidery, and crafts from the Aftfaluna society for Deaf Children and other associations in Gaza. “Gaza was the economic capital of Palestine no more than a decade ago. Their economy has been slowly strangled to the point where now somewhere around 80 percent of the population are reliant on aid for the basic essentials of life such as food, shelter and medical care,” Coleman says. The steering committee for Gaza’s Ark comprises mainly well-respected Palestinian scholars, doctors and rights activists from Gaza. International supporters include Archbishop Desmond Tutu, various UK and Canadian former and current members of parliament, two former UN assistant secretaries general, and Hedy Epstein and Suzanne Weiss, both Holocaust survivors. 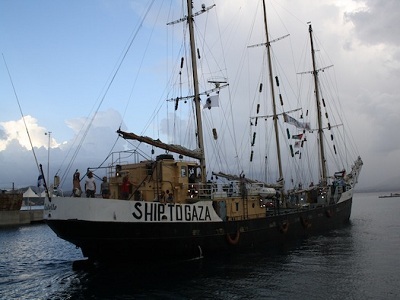 Since 2008 solidarity boats have sailed, or attempted to sail, to the Gaza Strip in efforts to challenge the Israeli-led siege on Gaza and bring awareness over it. The Free Gaza boats of 2008-2009 were followed by the Freedom Flotilla of 2010, and various non-violent attempts afterwards to bring an end to the naval blockade of Gaza. The Freedom Flotilla is most known for the Israeli naval commandos’ execution of nine and the injury of over 50 of the flotilla activists on board the Turkish ship, the Mavi Marmara while it was in international waters. The rest of the over 600 people on the flotilla boats were taken to Israel and deported home. 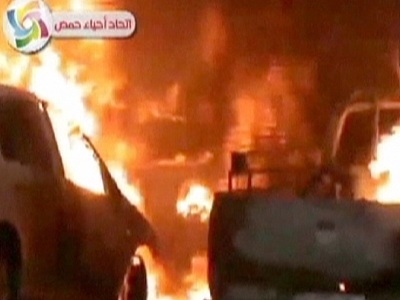 “It was a completely illegal act, Israel had no right to board the ship,” says Coleman. The Gaza’s Ark initiative aims to “challenge the blockade of Gaza from the inside out. By purchasing Palestinian exports from Gaza, buyers around the world can bring critically-needed public attention to the blockade while supporting Palestinian businesses in Gaza,” reads the Ark website. Gaza’s fishers once numbered over 10,000, but under the Israeli siege and assaults, the vast majority have given up on a trade that was passed down to them by their fathers and grandfathers. “A generation of fishers are becoming fish-mongers, selling fish imported from Egypt. Only nine miles out there is a plentiful amount of fish. They should be coming in on boats, not on trucks,” Coleman says. With the siege, Israel has also enforced no-go zones along the Green Line border separating Gaza and Israel, and in Gaza’s sea, to which Palestinians under the Oslo accords have the right to fish as far as 20 nautical miles from the coast. Since 2008, Israel has unilaterally enforced a limit of between six and three miles. Although Israeli authorities expanded this limit back to six miles following the cessation of Israel’s November 2012 attacks on Gaza, in March 2013 Israel again unilaterally declared Palestinians can go no further than three miles. Fishers and human rights groups report that the Israeli navy shoots on, harasses and abducts Palestinian fishers even within three miles, as close at times as less than a mile from Gaza’s coast. The Israeli navy has killed and injured numerous fishers while shooting at their boats. “The act of the blockade is an act of collective punishment, which is outlawed under the Fourth Geneva Convention,” Coleman says. “We have to continue to oppose the blockade, but in creative new ways,” says David Heap.